Now that all the hoopla of the Royal Wedding has died down, it's time to crank it back up for a minute or so. I have drawn the names of the winners who have each won one Georgette Heyer novel from Sourcebooks. I will send you private emails. Thanks to all who entered and told me of their wedding watching plans. 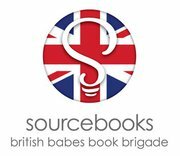 A further thank-you to Sourcebook for sponsoring this contest.